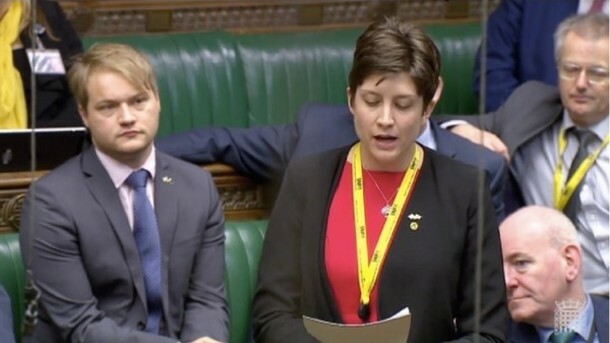 Glasgow Central MP, Alison Thewliss, today pressed the Government on lengthy delays with the tier one immigration tribunals. Referring to a number of outstanding constituency cases she has been dealing with, Ms Thewliss asked the Leader of the House of Commons to personally intervene in speeding up tier one tribunals. Recent cases include a constituent who has been waiting for a hearing date since March 2016. He is now facing eviction from his home, along with his wife and children, as he is unable to work until his case is heard. Other cases include a gentleman who has been waiting since November 2015 for an appeal regarding an entry visa for wife. Another constituent has been waiting since February 2015 for an appeal which had originally been promised by last May. “These delays to tier one tribunals are totally and utterly unacceptable and the Government must take urgent action to speed up this process. “A snapshot of my own constituency caseload suggests that these delays are leaving people in incredibly precarious circumstances, leading to problems which, in all honesty, could easily be avoided. “A family in my constituency is now faced with eviction because of UK Government inaction. It is incumbent upon the Leader of the House to give his colleagues in the Government a nudge and get urgent action to tackle this backlog”.